Victoria Crittenden is Professor of Marketing and Chair of the Marketing Division at Babson College (USA). Additionally, she serves (or has served) as Visiting Global Scholar in the D.B.A. program at the Coles College of Business at Kennesaw State University (USA), Visiting Ph.D. Faculty at KTH Royal Institute of Technology in Stockholm (Sweden), Visiting Ph.D. Faculty at Luleå University (Sweden), a core faculty member at the WU Executive Academy (Austria) and as visiting faculty at the University of Ulster in Belfast (N. Ireland), The American College of Greece MBA Program in Athens (Greece), and University Robert Schuman, IECS in Strasbourg (France). 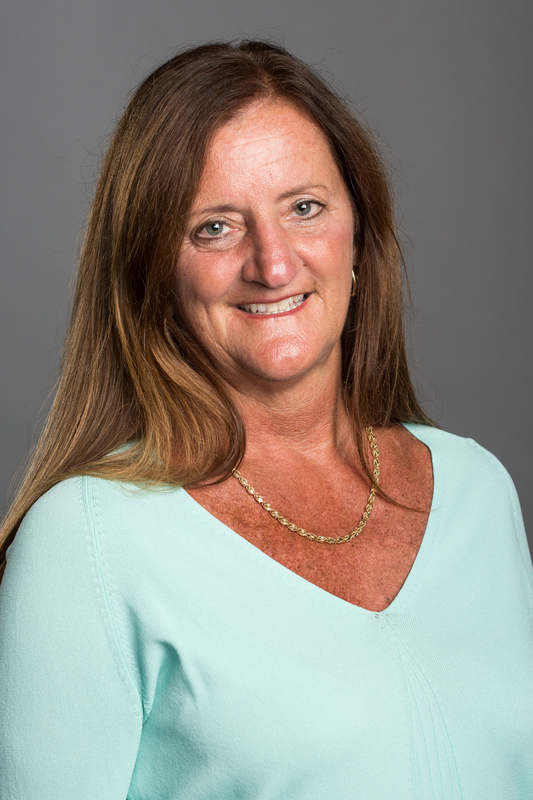 Prior to her tenure at Babson College, Vicky spent 25 years in the marketing department at Boston College where she served as department chair for nine years and chair of the MBA core faculty for three years. Vicky’s research has been published extensively in journals such as the Journal of the Academy of Marketing Science, Marketing Letters, Sloan Management Review, Psychology & Marketing, Business Horizons, Entrepreneurship Theory & Practice, Journal of Business Research, Business Strategy Review, Corporate Reputation Review, Journal of Public Affairs, Journal of Personal Selling & Sales Management, Industrial Marketing Management, Journal of Strategic Marketing, Information and Management, Organizations and Markets in Emerging Economies, and International Journal of Production Economics. Her educational scholarship appears in such journals as the Journal of Marketing Education, Marketing Education Review, Decision Sciences Journal of Innovative Education, Journal of Education for Business, Journal of Teaching in International Business, and Journal for Advancement of Marketing Education. Vicky was a co-author of Strategic Marketing Management Cases published by McGraw-Hill/Irwin Publishing, and she is an author of over 100 published vignettes and cases. She served as founding co-editor of the AMS Review and serves currently on the editorial review boards of: Business Horizons, Decision Sciences Journal of Innovative Education, Journal of the Academy of Marketing Science, Journal for Advancement of Marketing Education, Journal of Business-to-Business Marketing, Journal of Marketing Education, Journal of Strategic Marketing, Marketing Education Review, Marketing Management Journal, Organizations and Markets in Emerging Economies, and Psychology & Marketing. Additionally, she currently serves Collections Editor for Digital and Social Media Marketing and Advertising with Business Expert Press and is co-editor of Evolving Entrepreneurial Education: Innovation in the Babson Classroom published by Emerald Group Publishing in 2015. Vicky has presented her teaching and scholarly research in venues worldwide. Vicky is Immediate Past President of the Academy of Marketing Science (AMS), where she has served previously as VP for Development, VP for Membership N. America, and Secretary/Treasurer. She has served as program chair for AMS conferences in the USA, Australia, and Norway. Additionally, Vicky was honored as an AMS Distinguished Fellow in 2008 and she received the Lamb, Hair, McDaniel Outstanding Marketing Teacher Award in AMS in 2005. In addition to serving in various capacities in AMS, she served four years as the chair of the American Marketing Association (AMA) Teaching & Learning Special Interest Group, and she received AMA's Pearson Prentice Hall's Solomon-Marshall-Stuart Award for Innovative Excellence in Marketing Education in 2013. Vicky is a Fellow at the IC2 Institute at the University of Texas-Austin and a member of the Board of Trustees at Lyon College, the Academic Advisory Board for CUTCO/Vector Marketing Corporation, the Faculty Advisory Board for Emerald Group Publishing, and the Academic Advisory Council of the Direct Selling Education Foundation. Vicky received the Distinguished Alumna Award at Lyon College in 1999. Peterson, R.A., Crittenden, V.L., Albaum, G. (in press). On the Economic and Social Benefits of Direct Selling. Business Horizons. Hallock, W., Roggeveen, A.L., Crittenden, V.L. (in press). Firm-level Perspectives on Social Media Engagement: An Exploratory Study. Qualitative Market Research. Peterson, R.A., Crittenden, V.L. (in press). Exploring Customer Orientation as a Marketing Strategy of Mexican-American Entrepreneurs. Journal of Business Research. Crittenden, A.B., Crittenden, V.L., Crittenden, W.F. (in press). The Digitization Triumvirate: How Incumbents Survive. Business Horizons. Simmons, J.M., Crittenden, V.L., Schlegelmilch, B. (2018). The Global Reporting Initiative: Do Application Levels Matter?. Social Responsibility Journal. Crittenden, A., Crittenden, V.L., Crittenden, W. (2017). Industry Transformation via Channel Disruption. Journal of Marketing Channels. Crittenden, A., Crittenden, V.L., Crittenden, W. (2017). The Contagion of Trickle-Down Incompetence. Industrial Management. Loper, T., Crittenden, V.L. (2017). Energy Security: Shaping the Consumer Decision Making Process in Emerging Economies. Organizations and Markets in Emerging Economies. Vol: 8, Issue: 1, Page: 8-32. Crittenden, V.L., Crittenden, W., Giglio, J., Crittenden, A. (2017). Surgery on the Board. Business Horizons. Crittenden, A., Crittenden, V., Crittenden, W. (2016). The Tough Job of Planning your Liquidation. Industrial Management. Ross, C., Crittenden, W., Crittenden, V. (2016). 3D Printing: Big Potential, Little Adoption. Industrial Management. Beninger, S., Ajjan, H., Mostafa, R., Crittenden, V.L. (2016). A Road to Empowerment: Social Media use by Women Entrepreneurs in Egypt. International Journal of Entrepreneurship and Small Business. Vol: 27, Issue: 2/3. Crittenden, V.L., Crittenden, W. (2016). Teaching and learning disrupted: isomorphic change. Journal of Research in Interactive Marketing. Vol: 10, Issue: 2, Page: 112-123. Emerald Publishing Limited. Crittenden, V.L., Beitelspacher, L.S. (2015). Creating a Culture of Confidence: An Interview with Sheryl Adkins-Green, CMO of Mary Kay Inc.. Business Horizons. Vol: 58, Issue: 4, Page: 371-376. Crittenden, V.L., Crittenden, W. (2015). Digital and Social Media Marketing in Business Education: Implications for Student Engagement. Journal of Marketing Education. Page: 131-132. Crittenden, V.L., Crittenden, W., Eddleston, K., Kellermanns, F., Floyd, S. (2015). Family Business: When you can’t choose your Partners. Industrial Management. Issue: September/October, Page: 12-17. Crittenden, V.L., Crittenden, W. (2015). Digital and Social Media Marketing in Business Education: Implications for the Marketing Curriculum. Journal of Marketing Education. Page: 71-75. Crittenden, V.L., Albaum, G. (2015). The Misplaced Controversy about Internal Consumption: Not just a Direct Selling Phenomenon. Business Horizons. Vol: 58, Issue: 4, Page: 421-429. Crittenden, W., Crittenden, V.L., Pierpont, A. (2015). Trade Secrets: Managerial Guidance for Competitive Advantage. Business Horizons. Page: 607-613. Giglio, J., Crittenden, W., Crittenden, V.L. (2015). Procurement Strategy: Iron Fist or Velvet Glove. Industrial Management. Page: 16-21. Joseph, G., Crittenden, W.F., Crittenden, V.L. (2015). Procurement Strategy: Iron Fist or Velvet Glove. Industrial Management. IIE. Ajjan, H., Beninger, S., Mostafa, R., Crittenden, V.L. (2014). Empowering Women Entrepreneurs in Emerging Economies: A Conceptual Model. Organizations and Markets in Emerging Economies. Vol: 5, Issue: 1, Page: 16-30. Crittenden, V.L., Crittenden, W.F., Crittenden, A.B. (2014). Relationship Building in the Financial Services Marketplace: The Importance of Personal Selling. Journal of Financial Services Marketing. Vol: 19, Issue: 2, Page: 74-84. Palgrave. Eddleston, K.A., Kellermanns, F.W., Floyd, S.W., Crittenden, V.L., Crittenden, W.F. (2013). Planning for Growth: Life Stage Differences in Family Firms. Entrepreneurship Theory and Practice. Vol: 37, Issue: 5, Page: 1177-1202. Wiley-Blackwell Publishing, Inc..
Ferrell, O.C., Crittenden, V.L., Ferrell, L., Crittenden, W.F. (2013). Theoretical Development in Ethical Marketing Decision Making. AMS Review. Vol: 3, Issue: 2, Page: 51-60. Springer New York LLC. Tsao, H., Matthews, L.M., Crittenden, V.L. (2012). Balancing Market Share Growth and Customer Profitability: Budget Allocation for Customer Acquisition and Retention. Organizations and Markets in Emerging Economies. Vol: 3, Issue: 2, Page: 45-55. Vilniaus Universitetas, Economikos Fakultetas. Crittenden, V.L., Crittenden, W.F. (2012). Corporate Governance in Emerging Economies: Understanding the Game. Business Horizons. Vol: 55, Issue: 6, Page: 567–574. Elsevier Inc..
Bailey, C.D., Hair, J.F., Hermanson , D.R., Crittenden, V.L. (2012). Marketing Academics' Perceptions of the Peer Review Process. Marketing Education Review. Vol: 22, Issue: 3, Page: 263-278. Taylor & Francis Inc..
Crittenden, V.L., Crittenden, W.F. (2012). Strategic Marketing in a Changing World. Business Horizons. Vol: 55, Issue: 3, Page: 215-217. Elsevier Inc..
Williams, D.L., Crittenden, V.L., Keo, T., McCarty, P. (2012). The Use of Social Media: An Exploratory Study of Usage among Digital Natives. Journal of Public Affairs. Vol: 12, Issue: 2, Page: 127–136. John Wiley & Sons Ltd..
Pitt, L., Crittenden, V.L., Plangger, K., Halvorson, W. (2012). Case Teaching in the Age of Technological Sophistication. Journal of the Academy of Business Education. Vol: 13, Issue: Spring, Page: 77-94. Academy of Business Education. Peterson, R.A., Crittenden, V.L. (2012). On the impactfulness of theory and review articles. AMS Review. Vol: 2, Issue: 1, Page: 1-4. Springer New York LLC. Brocato, E.D., Peterson, R., Crittenden, V.L. (2012). When Things Go Wrong: Account Strategy Following a Corporate Crisis Event. Corporate Reputation Review. Vol: 15, Issue: 1, Page: 35-51. Palgrave Macmillan Ltd..
Crittenden, V.L., Crittenden, W.F. (2014). Market Orientation in Commodity Marketing: The Necessary Link between Marketing and Production: Commodity Marketing. Springer Fachmedien Wiesbaden GmbH. Crittenden, V.L. (in press). Direct Selling: The Power of Women Helping Women: Go-to-Market Strategies for Women Entrepreneurs. Emerald Publishing. Crittenden, V.L., Hotchkiss, C. (2015). Academic Scholarship: A Stakeholder Analysis: Evolving Entrepreneurial Education: Innovation in the Babson Classroom. Page: 3-14. Emerald Group Publishing. Crittenden, V.L. (2015). Sexism and Gendered Marketing: Exploring Critical Issues in the Marketing Classroom: Evolving Entrepreneurial Education: Innovation in the Babson Classroom. Page: 411-424. Emerald Group Publishing. Zahey, D., Crittenden, V.L., Tuten, T., Altounian, D. (2015). Keeping Marketing Relevant in the Digital Age: MMA Fall Educators Conference, San Juan, PR. Beitelspacher, L.S., Crittenden, V.L., Sosnowski, D.L. (2018). How the Marketing Division and Undergraduate Career Center at Babson College Align to Facilitate Core Career Readiness: BizEd. AACSB International. Crittenden, V.L. (2015). Consistently Diverse: Business & Management Research Focus. Page: 55-57. Emerald Group Publishing.